The reading this Christmas break was pretty light. I kept it easy for a couple of reasons, the first being that the fall term was absolutely brutal, and the second being that Christmas break was really short this year. I’ve had good luck with the exam schedule for the past several years and this has resulted in extremely long Christmas breaks. I did not get so lucky this year, as thesis work and studying kept me busy right up until I had my first (and also last) exam, which was also on the last day of exams. This is why most of what I’ve read this break is short and not heavily academic. I wrote brief Amazon reviews for some of these books, and the link to that can be found in the lower sidebar on the right. I typically only review books that I can critically comment upon but these were a bit of an exception, since going back as far as the fifth century in the west is not something I’m terribly familiar with. 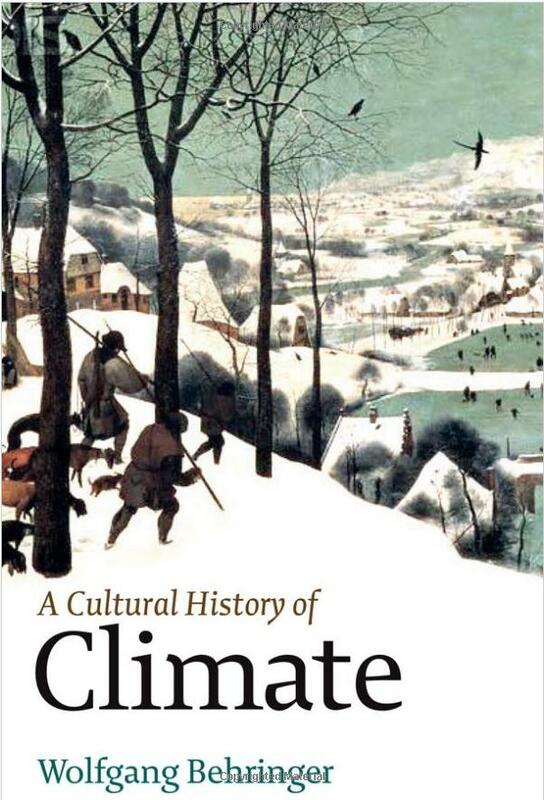 I gave it a try though, and I liked the climate book so much I figured it deserved a five-star review, even though I am not an historian of early modern Europe or climate. I was quite disappointed in this book. 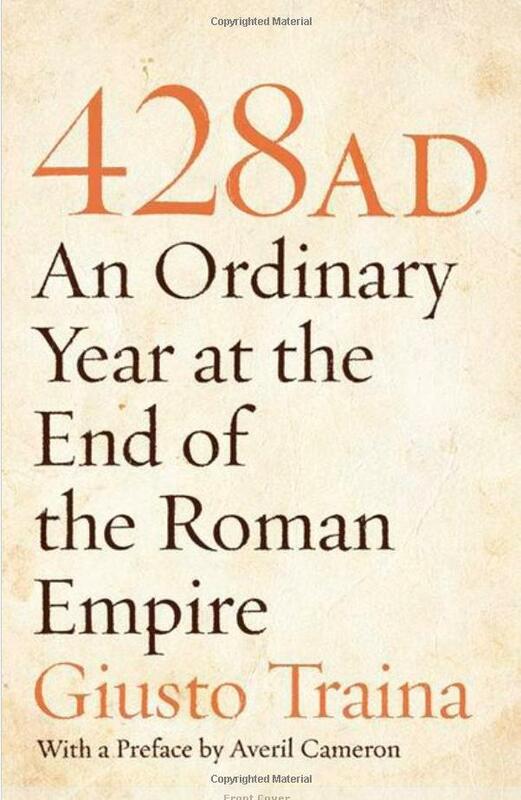 It sets itself up as a survey of how the world looked in 428, making a complete circle around the Roman Empire. Perhaps the problem was with my expectations. I was expecting a book that was written for a popular audience (as the price point and the fact that you can find this book in Chapters seems to indicate) but instead it was a rather dry academic book with a good fifty of pages of endnotes for only 130 pages of text. 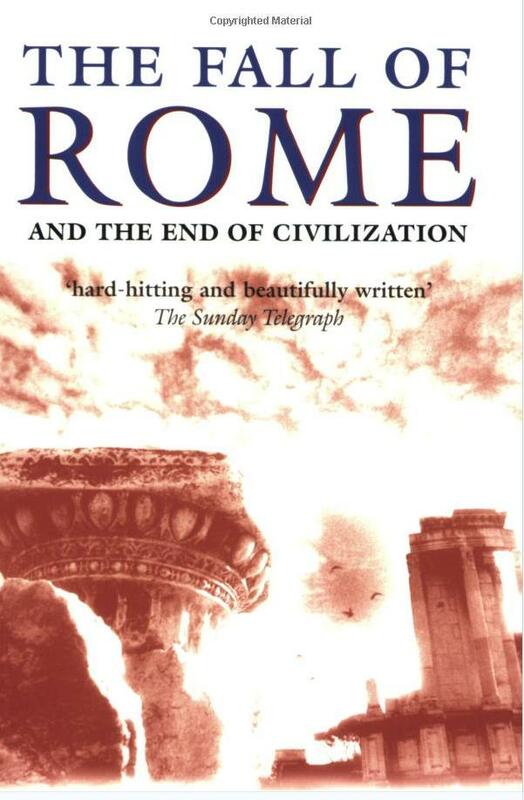 It’s not a bad book, but it fails to really bring life to the Roman world. This was the age of Augustine, Symeon Stylites, Aetius, and barbarians encroaching upon Rome, and yet it never feels alive. The view of the book is perhaps too academic and detached for something that isn’t really an academic work because it does nothing to advance our understanding of the period. It’s too godlike and too impersonal to really seem vibrant. This was a much better book. Ward-Perkins’ premise is that the fall of the Roman Empire in the west was a much uglier thing than it has been taken to be in recent years, as much of the data comes from the east. It’s a lively account of the last years of the Roman Empire in the west and the barbarian kingdoms as much as it is an excellent complement to certain trends in the study of late antiquity. More advanced students will find the first half of the book pretty useless and Ward-Perkins sets up his late antique context, but the latter half of the book is concerned with the archaeological trends in which he sees decline following the end of the Empire. It’s a convincing book, even if it has a few holes. For example, Britain gets a disproportionate amount of page space, and one would think that Gaul never existed if this was the only book they ever read on the Roman Empire. The increasing sophistication of the barbarians beyond the Rhine and Danube frontiers is also curiously ignored. Still, it is a welcome wake-up call and easily accessible to a popular audience due to Ward-Perkins’ excellent writing. This book intrigued me from the first time I had laid eyes upon it, so once I got it for Christmas I eagerly started reading and finished it rather quickly. The premise is that climate affects human civilization, and Behringer takes a broad historical look at climate change and what it does to cultures. While I wish more of the book was devoted to the ancient and medieval periods, its rapid sweep through human history provides example after example of how climate aided or destroyed human civilizations, as well as forcing them to adapt to changing conditions. Behringer makes a few particularly important points that only come about from looking at climate from a historical perspective, namely, that we are still in an ice age, and that for the vast majority of the time in which there has been life on Earth, the planet has had significantly higher levels of CO2 in the atmosphere. This is not an attempt to either shift the blame or indict humanity for anthropogenic global warming, but rather to put it in the grand perspective in which climate always changes, and that the cultures which are able to adapt best to those changes come out ahead. It may be a simple lesson, but it is one that humanity would best heed. This book has definitely given me some things to consider when working on the changes of the fifth through seventh centuries in the Roman world. This was something that I needed to read for my honours’ thesis. It was a nice change from the usual Gesta Francorum based accounts of the First Crusade. 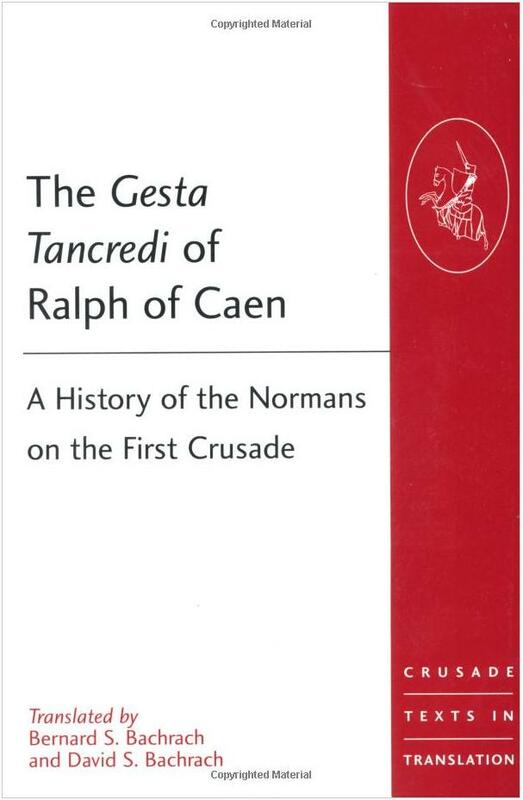 The text focuses around Tancred, the nephew of Bohemond, the famous Norman leader who took part in the First Crusade. The story is not terribly different from the other accounts, so it is the little details that make it particularly interesting. For example, the other sources make no mention of Byzantine aid at Antioch, but Ralph of Caen does. There are also some interesting details on the capture of the Dome of the Rock by Tancred when the crusaders took Jerusalem in 1099. The real value of the account besides that it is not another iteration of the Gesta Francorum is that it extends beyond the capture of Jerusalem until about 1108 detailing Tancred’s activities around Antioch. This information is far more incomplete and less detailed than the earlier sections concerning the First Crusade, but there is still some important details on the battles with the Danishmend Turks and the ongoing struggle with the Byzantines over Cilicia and the port of Latakia south of Antioch. Another book which I got for Christmas. Cities have fascinated me for a long time, and this book was particularly interesting, if overly American and rather repetitive. The crux of the book is that cities are actually better for humanity, because they allow for the rapid sharing of ideas, face-to-face communication that the internet does not allow, and that urbanites are greener because of their smaller homes and limited driving habits. 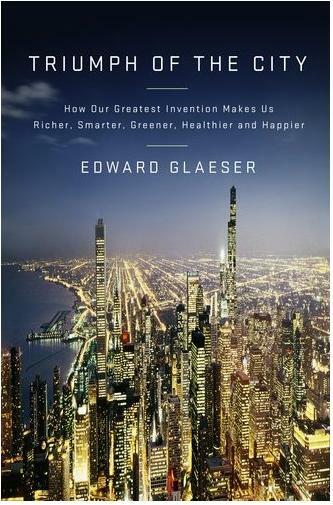 The author never does much to convince his audience that city-dwellers are actually happier or healthier, despite what the book’s cover claims, but many of the his other ideas (particularly Jevon’s Paradox as applied to traffic in cities) are quite interesting. The ideas of cities as potential intellectual hotbeds is definitely something I’ll be considering more in the future when working on the end of antiquity. It’s been on the shelf for a while. I haven’t finished it yet, but so far it really hasn’t said anything new. Good maps, though. 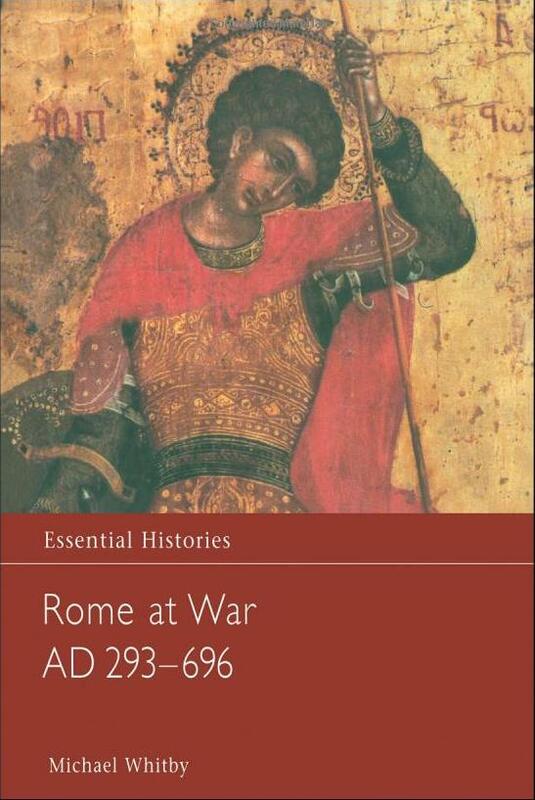 If anyone happens to identify the location/date of the fresco on the cover, please let me know. The only one of those I’ve read is Ward-Perkins and I didn’t care for it. I thought he overstated his case, particularly with his repeated assertions that post-Roman society fell back to prehistoric levels. There was a great deal of emotionally loaded terminology which I didn’t think was necessary. Also a lot of over-generalization. I put a review up on Amazon myself. I read Wickham’s Framing a few months later. After this I became convinced that either BWP did not know the archaeological evidence as well as it initially appeared or he used it selectively. Wickham’s discussion was much more thorough and I thought the way he detailed the differences over time and between regions effectively destroyed BWP’s premise of something which happened throughout all of Western Europe. Nothing wrong with correcting errors by other historians such as Goffart and Wells but that’s no reason to go over the edge in the opposite direction. I see 428 quite frequently and to date have resisted buying it. Thanks for your comments – it will make continued resistance much simpler. There’s no real reason to read ‘428’. The concept is intriguing, but the fact that it is rather badly executed is really disappointing. I’ll be keeping it on my shelf because the 50 pages of notes might come in use, but I can’t really recommend the book. As for Ward-Perkins, thanks for expanding on some of my suspicions. The fact that he had nothing to say on the increasing archaeological sophistication of the Trans-Danubian peoples from the third century on made me wonder. Then after he ignored the archaeology of Gaul and Hispania for the period it concerned me even more that he might be a little selective with his evidence in trying to stress his point. The third book which I got for Christmas is Wickham’s Framing, but I left it back at home because there is no way I’m going to get it finished before classes start again and the term will be too busy to read it (and I definitely will not get it done with having to go back to Latin this term! Ick!) I’ll hopefully get into it this summer, depending on what else my MA supervisor wants me to be familiar with before I head off to grad school. Framing’s large, that’s for sure. The nice thing is that the way he’s organized it, I could read it in 15-20 page cohesive chunks. He has his thematic chapters and within each chapter he further segments his discussion by geographic region. It still took a while to read but not as long as I’d been afraid it would. Nice Christmas present BTW. It was an excellent Christmas gift. My sister got me a late Byzantine bronze ring, which is also really awesome.